Chapter 55 is the victorious invitation to salvation that naturally follows a progression that began in Isaiah chapter 40. Isaiah chapter 53 was the Servant who fulfills the work of the Lord based on Isaiah 40-52. In Isaiah chapter 54 a family and dwelling that has grown so large that it is bursting the seams (Isaiah 54:3) is described. Now, in Isaiah 55 the table has been set and the people are invited. It is a glorious victory celebration. This chapter is the basis for Jesus’ teaching in Matthew 11:28-29 and John’s vision in Revelation 22:17. Beginning in Isaiah 55:8-11 the Lord makes it clear that his marketing plan is not the same as that of men. The Lord’s thoughts are not like those of men’s philosophy and men’s religions. The Lord’s ways and the Lord’s thoughts are beyond man’s finite minds and ability to create. The provisions at the Lord’s banquet will produce what men desire, but cannot create. The Lord will give to men what they want if they will only ask for it. It they will seek it, the Lord will give to each man what will produce God’s purpose. Be’er is also used to refer to the grave for the human body (Psalm 55:23) and figuratively of the place the soul went after death (Psalms 69:15). I will seek and accept the Lord's ways and the Lord's thoughts. I will desire to see the Lord producing his ways in my life today. 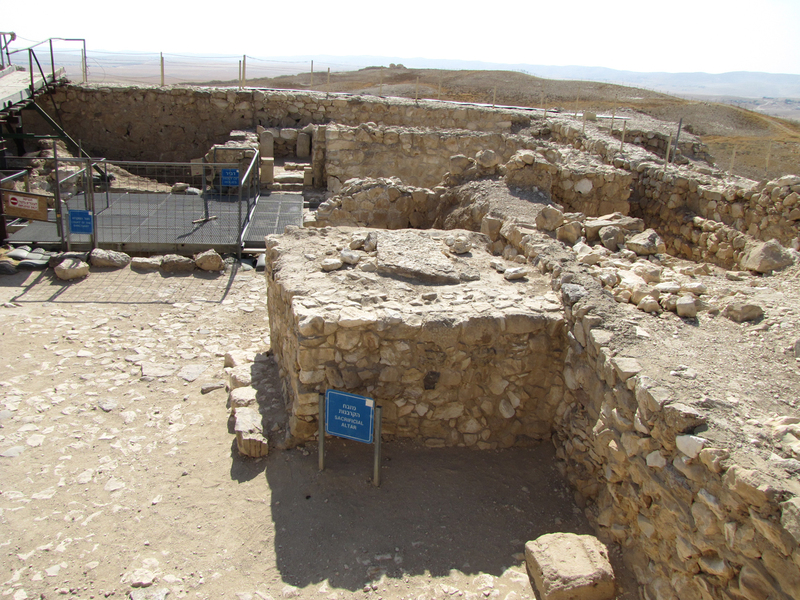 False temple, or Old Testament high place, of worship in Arad. 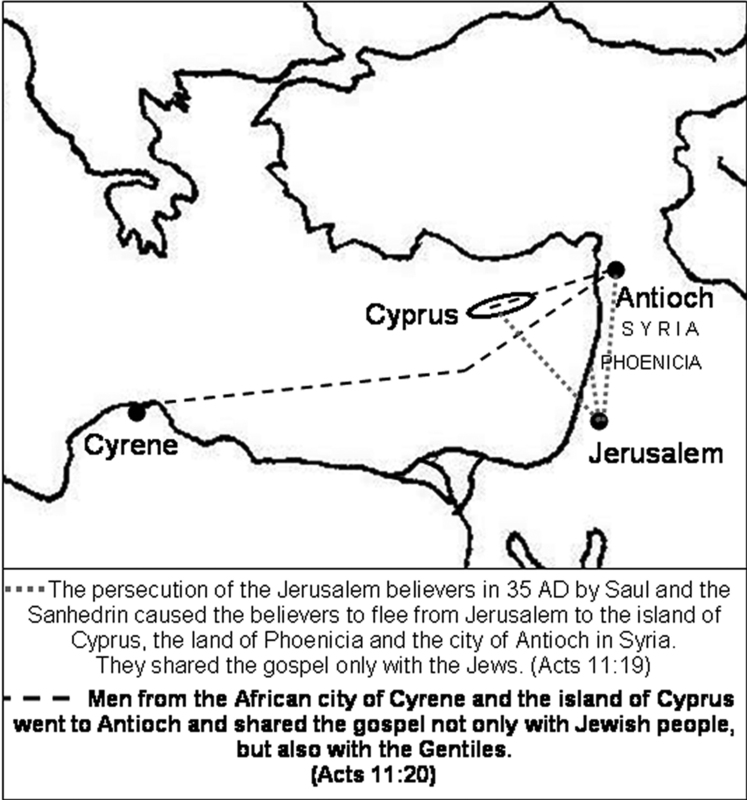 Details and locations of Acts 11:20 when men from Cyrene and Cyprus started the church in Antioch, Syria. "You must understand why it is that the Word of the Father, so great and so high, has been made manifest in bodily form. He has not assumed a body as proper to His own nature, far from it, for as the Word He is without body. He has been manifested in a human body for this reason only, out of the love and goodness of His Father, for the salvation of us men." - Athanasius in 318 AD in his book "On the Incarnation"
Pigs, rabbits, camels and shrimp were unclean food (Leviticus 11:1-12) among the Israelites, but locusts, katydids, crickets and grasshoppers were considered clean food according to Leviticus 11:21-22 because they were insects with wings that also hopped on the ground with jointed legs. for the Lord will be your confidence and will keep your foot from being snared." 10 At the end of twenty years, during which Solomon built these two buildings—the temple of the Lord and the royal palace— 11 King Solomon gave twenty towns in Galilee to Hiram king of Tyre, because Hiram had supplied him with all the cedar and juniper and gold he wanted. 12 But when Hiram went from Tyre to see the towns that Solomon had given him, he was not pleased with them. 13 “What kind of towns are these you have given me, my brother?” he asked. And he called them the Land of Kabul, a name they have to this day. 14 Now Hiram had sent to the king 120 talents of gold. 15 Here is the account of the forced labor King Solomon conscripted to build the Lord’s temple, his own palace, the terraces, the wall of Jerusalem, and Hazor, Megiddo and Gezer. 16 (Pharaoh king of Egypt had attacked and captured Gezer. He had set it on fire. He killed its Canaanite inhabitants and then gave it as a wedding gift to his daughter, Solomon’s wife. 17 And Solomon rebuilt Gezer.) He built up Lower Beth Horon, 18 Baalath, and Tadmor in the desert, within his land, 19 as well as all his store cities and the towns for his chariots and for his horses—whatever he desired to build in Jerusalem, in Lebanon and throughout all the territory he ruled. 20 There were still people left from the Amorites, Hittites, Perizzites, Hivites and Jebusites (these peoples were not Israelites). 21 Solomon conscripted the descendants of all these peoples remaining in the land—whom the Israelites could not exterminate—to serve as slave labor, as it is to this day. 22 But Solomon did not make slaves of any of the Israelites; they were his fighting men, his government officials, his officers, his captains, and the commanders of his chariots and charioteers. 23 They were also the chief officials in charge of Solomon’s projects—550 officials supervising those who did the work. 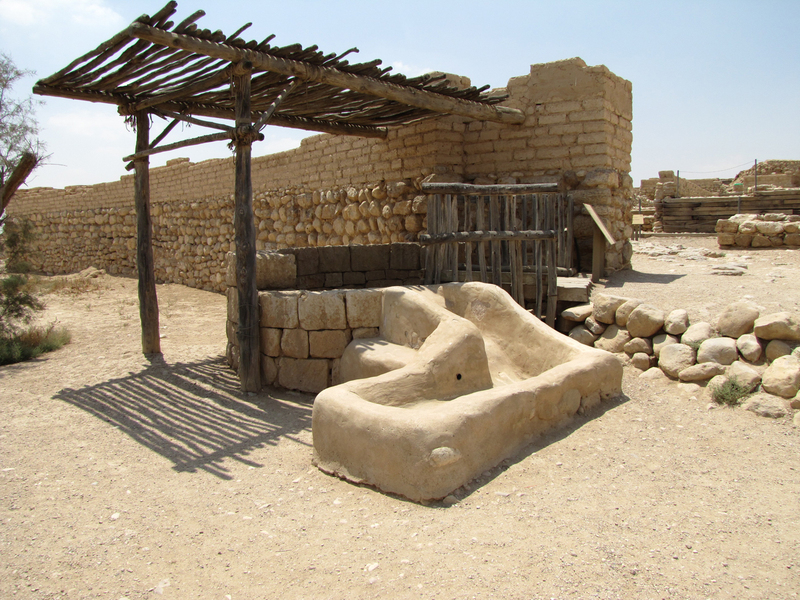 26 King Solomon also built ships at Ezion Geber, which is near Elath in Edom, on the shore of the Red Sea. 27 And Hiram sent his men—sailors who knew the sea—to serve in the fleet with Solomon’s men. 28 They sailed to Ophir and brought back 420 talents of gold, which they delivered to King Solomon. 22 So the Lord saved Hezekiah and the people of Jerusalem from the hand of Sennacherib king of Assyria and from the hand of all others. He took care of them on every side. 23 Many brought offerings to Jerusalem for the Lord and valuable gifts for Hezekiah king of Judah. From then on he was highly regarded by all the nations.